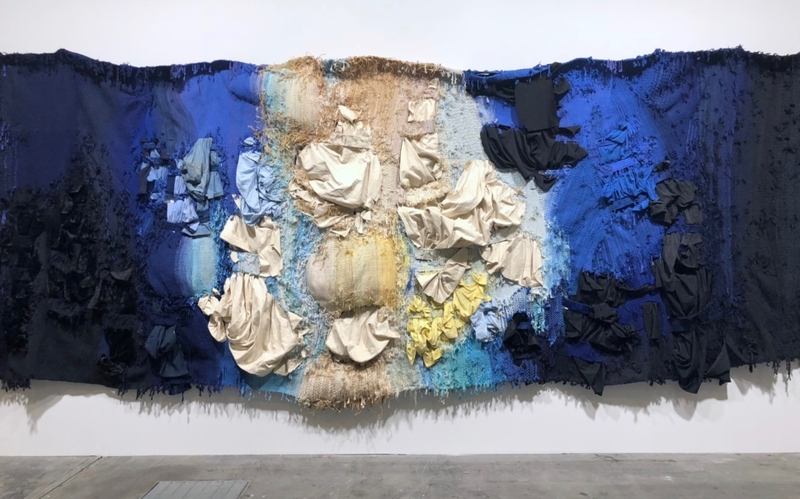 Art Basel 2018 in Basel brings artworks of 291 international world’s leading galleries and displays works of over 4,000 artists. Founded in 1970, Art Basel today is the world’s most important platform for gathering together galleries, artists and art enthusiasts. It’s also the world’s biggest marketplace for contemporary art. Around 100,000 visitors will attend, 15% of them VIPs, the richest of richest and the most influencing people of the world. Hence, you wouldn’t find anything more luxurious in the art world than Art Basel! Dates: The exhibition open for all art enthusiasts June 14 – 17, 2018. Location: Messe Basel, Messeplatz 10, Basel, Switzerland. Working hours: 11 am – 7 pm. Personal/- non-professional use photography is permitted, however, the big size cameras are forbidden. So the best way to take memorable photos is using the camera on your phone. In addition, more information about the fair you may also find on the Art Basel official website. THE EXHIBITION IS BIG, SO IT’S very CONVENIENT TO get A floors MAP at the information desk. Basically, you will find Collectors Lounge on the top floor of the exhibition hall. Then moving downstairs, more contemporary galleries on the first floor. Finally, the historical art works on the right side of the ground floor and the classical contemporary works on the left side. Next to the exhibition hall you will find the “Unlimited” pavilion. First of all, the main sector of the show, features 227 of the world’s leading galleries. In addition, this year’s strong selection of returning exhibitors is complemented by 10 galleries participating in Galleries for the first time. The Statements sector presents 18 exciting solo projects by emerging artists and also will include ten first-time galleries. The Edition presents 14 global leaders in the field of prints and editioned works. This year Feature boasts a particularly ambitious selection of 31 precisely curated projects from both historical and contemporary artists. It is probably one of the most spectacular parts at the exhibition. Art Basel’s unique platform for projects that transcend the limitations of a traditional art-fair stand. So it displays 72 premier works. “Parcours” presents 23 special projects, site-specific sculptures, interventions and performances by renowned international artists, organised around Münsterplatz. The program of panel discussions which accompanies the gallery presentations in Basel, also offers audiences access to first-hand information on the international art world. Last but no least, this sector shows 16 films and special screenings. THE IMPRESSION IS A matter OF TASTE. Contemporary Art is very often controversial art. Beautiful or hideous, meaningful or ridiculous, that’s a matter of taste. However, within this spectacular event you can find artworks that touch and speak to your soul. If anything, it will push your boundaries and lift your imagination. Although the fair is the world’s bigest marketplace for CONTEMPORARY art, it also gives a provocative momentum for creativity. thousands of people visit it for INSPIRATION and motivation. Also you are welcome to share your favourite artworks in the comments below.